We love good music at Rice K. Rice K has had the opportunity to work with many professional artists in the past years. 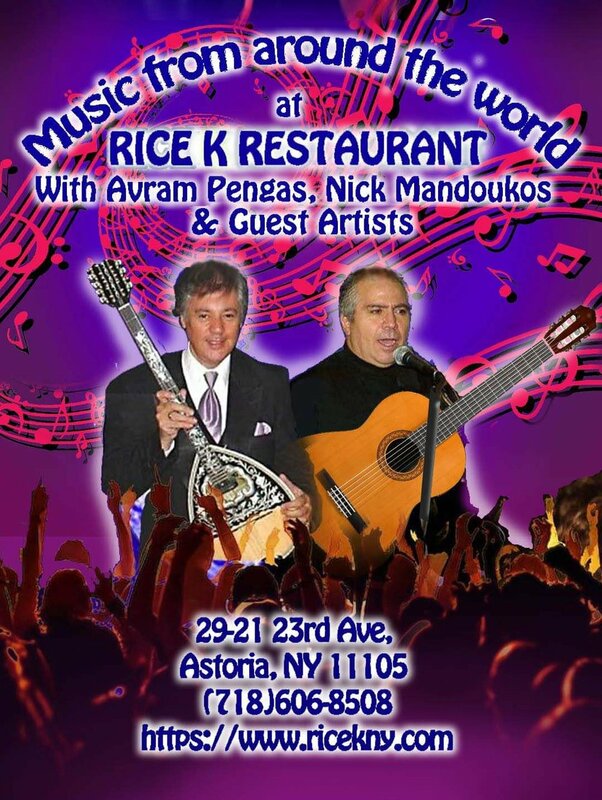 Recent Thursdays once every two week we have Avram, Nick and guest artists perform music from all around the world, including Italian, Spanish, Greek and etc. A night of music and dance. Reserve your table today. Call 718 606 8508 for more information. Karaoke is fun for all ages and people, whether you’re going for American Idol or just to enjoy a night of fun. Rice K Karaoke is every Friday and Saturday nights starting at 10:30pm. 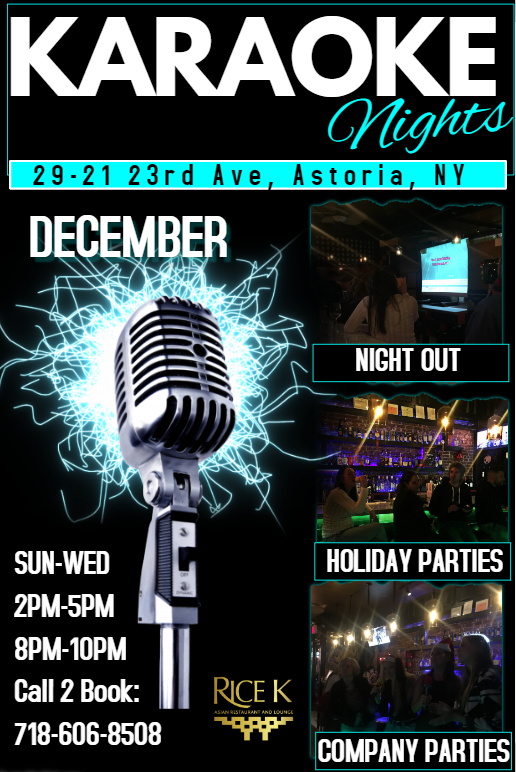 We are also open to hold karaoke events for all occasions. Call to inquire for more pricing and details.